You are here: Home / Weekly Columns / Opinion / Best iPad Alternatives for Students and Professionals. 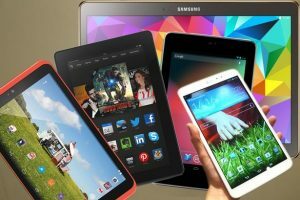 Best iPad Alternatives for Students and Professionals. (ThyBlackMan.com) The best iPad Pro alternatives for students and professionals should not only feature the best hardware, but they should also provide functionality for tons of practical use cases. Apple’s new iPad Pro is undoubtedly a good device and for students, the company offers affordable pricing plans. But if you are still looking for some better iPad Pro alternatives, here are the options. Microsoft’s Surface Pro 6 is the new iPad Pro rival that beats Apple’s new tablet on many fronts. Durability tests have revealed that the Surface Pro 6 is better than the iPad Pro and why this is important because here we are talking about students and professionals who are more likely to use their tablet in different work conditions. They carry it, they use it outdoors and most importantly, they want more performance power from their preferred tablet. Both the latest versions of the Surface Pro and the iPad Pro are packed with impressive hardware. If examined under benchmark tests, they both are winners in their own spaces. One strong reason for choosing the Surface Pro 6 over the iPad Pro is the software ecosystem. The full catalog of Windows applications and other third-party solutions is available to developers and consumers as none of them is restricted by a new environment. For long-term Apple fans, the iOS software ecosystem is not a big deal, but new users often feel caged. Lenovo has introduced its Miix 630 PC that comes equipped with Qualcomm’s Snapdragon 835 SoC and features provides always-connected environment whenever it is in the network coverage. The device runs on Windows 10 S and its powerful battery lasts for 20 hours. The laptop-tablet hybrid features a detachable keyboard making it easy for students and professional users to use it in the way they want. The 2-in-1 PC is one of the best touchscreen laptops. It also gives you an option to upgrade the Windows 10 S version to Windows 10 Pro. You have to be quick because this upgrade option is only available for the first six months from the date of registration. As mentioned above, the Lenovo Miix 630 supports Windows 10 S and offers applications from the Windows Store. These applications natively support the 32-bit environment and both Microsoft and third-party developers have translated many 64-bit applications so that the software can run on non-native machines as well. This particular device doesn’t feature a detachable keyboard but it can be used as a laptop and as a tablet. Its 360-degree hinges allow users to fold the device in either direction depending on the way they want to use it. There’s no denying with the fact that the Pixelbook is a strong rival of the iPad as it packs powerful hardware and a battery that lasts all day. With just a 15-minute charge, the device can work for another two hours. Just like Apple’s iOS, Google Pixelbook also feels restricted due to Chrome OS. Unlike Windows, the Chrome OS offers limited access to features on some applications. For light work, this tablet-laptop hybrid is a really good choice because the money you pay for the device gets you an attached keyboard as well. Why it’s important because, with the iPad Pro and Surface Book 6, you will have to invest in accessories and pay more. The Samsung Galaxy Tab S4 comes in a new design and features a high-resolution HDR OLED display. It is undoubtedly a lot better than its predecessor Tab S3. With the support for S Pen and DeX, Samsung Galaxy Tab S4 is clearly one of the best iPad Pro alternatives at present. In the Android space, it is the best tablet you can buy in 2018 because for those who need rich graphics support from their tablet, the Samsung Galaxy Tab S4 offers sharp and vibrant colors on the screen. For professionals, the DeX support makes the Samsung Galaxy Tab S4 more useful. This is the first Samsung tablet to support DeX, which means if you have already tried and tested Samsung Galaxy Tab in the past, this time, the new tablet is a lot more different and it can certainly give your work a quick boost of productivity. Also, check out this list guide on matching your laptop’s performance with your work-related needs to improve your search.